Estonian company MinexSystems has commenced the full start of operation of its two primary products, MinexPay and Minex Web Wallet, which in conjunction create one of the most completed cryptocurrency card ecosystems on the market. Minex Web Wallet is a secure web wallet system which offers storage and control over several digital assets, as well as activation and control of the cards purchased via MinexPay. MinexPay offers a card program, which can be used both for crypto online and offline payments and ATM withdrawals, with very attractive limitations. 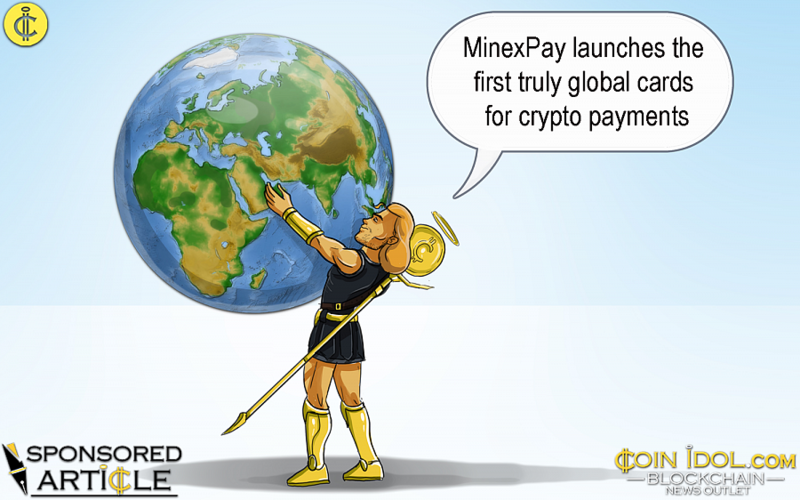 Unlike any other crypto cards, MinexPay cards are available literally worldwide: anyone from a UN-recognized country without any imposed sanctions can order themselves and use a MinexPay card with the same limits and rules as anyone, anywhere on the globe, which in practice makes it the world’s first ever globally accessible crypto payment card.